Where is My Train App | Train Live Status | Find Where is My Train! When a passenger travels by train, they often have the question in their minds “where is my train?” and so it becomes essential to track train status. Isn’t it? Sigmoid Labs have provided everyone with an awesome application by which we can track the live train running status. It’s not limited to tracking train, it has a lot more! Keep reading to know more! By installing where is my train app, the exact location of any train can be detected along with time delay status as well. The time at which a train will arrive at any station en-route can also be estimated. Within 8-10 minutes of the train arriving or crossing a station, the updates of the live train status of that particular train can be obtained. It is seen that there is a frequent change in the running train status. So passengers need to check them frequently. With the advancement of technology, it is now possible for the passenger to know about their train status through mobile devices as well. Sigmoid Labs have started with an application in the name of ‘where is my train app’ which is quite beneficial for the passengers. You can get live train status and up-to-date schedules from Indian Railways offline itself. In this case, it’s far better than NTES official app. Where is my train app is associated with many features and these are mentioned below. Accurate Spotting of Train – This is one of the best features of where is my train app. With this one is able to know the live train status of any train anytime and anywhere. There is no requirement of internet or GPS in this while traveling as the location is known through the information on the cell tower. It is possible to share the current location of your train with your friends and family as well as there is a share feature in it. 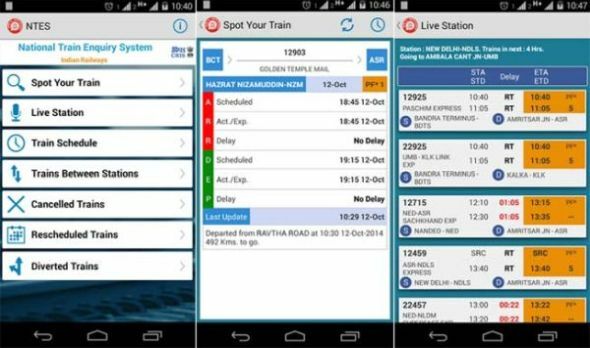 Getting Train Schedules Offline – The timetable of entire Indian Railways and IRCTC on where is my train app is offline too. You just need to enter either the name of the train or its number. Information About Platforms Numbers and Coach Layout – Before boarding the train the information about the coach position and seat layout is available to you with the help of this app. In some case, the platform numbers for boarding and intermediate stations are available as well. PNR Status – Where is my train app is useful in knowing about the latest PNR status as well. You need to enter the PNR or the app can scan the SMS from IRCTC in your mobile phone automatically. 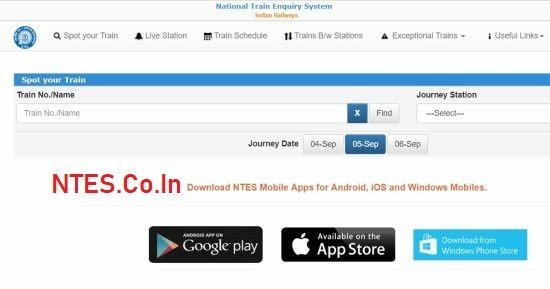 If there is any change in PNR status and train schedules the automated alerts are provided by the app as well. 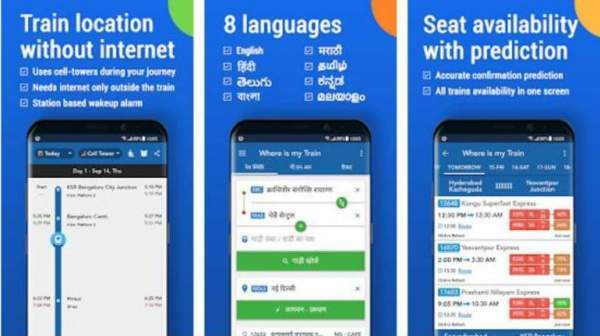 Availability of Seat and Fares – This app is useful in checking the availability of seat and fares of a particular train. Small App Size, Efficient in Data Usage and Battery – Where is my train app works offline without using GPS or the internet and so it is an efficient app for data usage and battery both. There are lot much information about Indian train on this app but still, size of it is small. 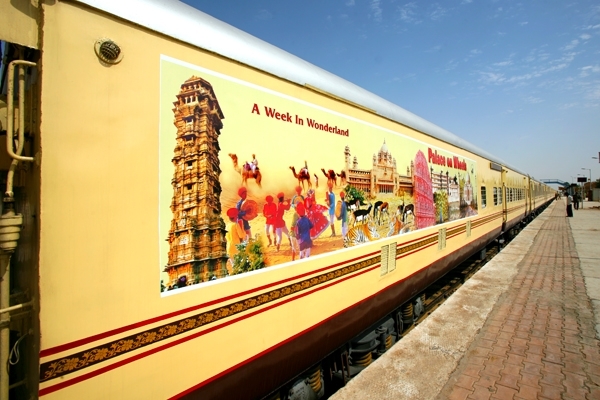 With all the above-stated features, this has become of the highest rated travel app in India to find your train. This search my train app is very useful to get an answer to the question i.e. find where is my train which is always in the minds of the passengers traveling by train. As the app is growing and getting very popular, many honest suggestions could be seen in the reviews section of Google Play. And customer satisfaction is something which every business loves to achieve. This is where the app is regularly updated considering user reviews and issues faced by them. So here’s what updated in Where is My Train App 6.1.2 on 11th April 2019. Automatic PNR extraction from SMS feature is removed as per the new Play Store policy. You can now share PNR SMS to Where is my Train to organize tickets. Now that you know what has changed in the latest version of where is my train app, let’s have a look at the download procedure of the app for Android devices. Download Where is My Train App on Android! Where is my train app download is user-friendly and can be done in no time at all? Below is the stepwise manner in which Where is my Train APK can be downloaded on Android devices. The first step is to turn on the data on your android device. The downloading of the device can be quick if the fast internet is available. Open Google play store and search for where is my train app. It will show the app in no time at all. Now click on the install button and wait for some time a few minutes can be required to download it. Once installed, launch the app. With this, you will be able to use all the features of this app. This is all about the method by which you can download where is my train app on your android devices. You can choose to download Indian rail app if you’re not happy with where is my train app! Well, if you are the one searching for where is my train for iPhone or where is my train iOS app then unfortunately there is no official app for the same from the developer. But don’t worry, I have found the best alternative of where is my train app for iOS users which is similar to that of Android app. Here’s how you can download it! #1. Follow this link to download where is my train app for iPhone or iPad. #2. Install the app on your iPhone/iPad. #3. Start using the app as per your needs. It’s this simple to get this my train app on your iOS devices. Tracking of train status can be done on the official website of Indian Railways as well. The official website is https://enquiry.indianrail.gov.in/ntes/index.html. Below is the stepwise procedure in which you can track your train using this website. Firstly, open the official website. On the homepage itself, you will see a bar to spot your train. Enter train name or train number. You will be immediately shown the train schedule. To track the train at a particular station, enter the station name. Details about the expected arrival time and departure time will be shown. Any delay in this will be shown as well. It would not be wrong to say that where is my train app is one of the most useful apps by Indian Railways. This is one app which everyone should have on their mobile phones. It makes tracking train running status easy. I hope we have given enough information about the where is my train app. Keep visiting ntes for more such useful apps! 1 Where is My Train? 3 Download Where is My Train App on Android! Hello, “Where is my Train app” is not available for IPhone users? If yes , can you share the link for iPhone users to download it? Is wake up call facility in this app is 100% reliable? Also, is internet required for wake up call? Where is the train 19015? I hope this is the latest version so that I can get all the features listed above. Yes, that’s the latest version. It’s the 6.0.6 version which was released in the month of January. This app is beyond my expectations. Offline mode is something I would love to see in most of the train apps. I hope Google will not revamp more because this app is already at its best. To find a train with an accurate GPS location, this app is beyond my expectations. Thanks a lot for developing such app. I am facing issues while tracking a train. Sometimes it shows wrong information. You might be using an old version, please update your app. The issue has now been fixed way back. I hope Google won’t revamp this app because it’s already awesome. Would love to see how they improvise the app for better user experience and I hope it will not show any ads. Wow, this is an awesome app. Can I get APK file for where is my train app? Getting train schedule office is the feature is loved the most. No other app provides that if I am not wrong. My app hangs sometimes. is that my smartphone issue? because few other apps get hang too. That might be the smartphone issue. Maybe you need to clear up some space in your device to run all apps smoothly. The app works perfectly on my smartphone without any issues. I think the app provides the best live information about all trains. This is available in the Telugu language as well! That’s super amazing! To find a train without internet seemed like a dream. But not anymore as this app makes it possible.